We’ve gone pretty hard on the phones on the software side, but the reality is that they’re affordable, high quality alternatives to the top-tier phones from the big manufacturers. Color OS simply isn’t to our tastes at all – It makes Oppo’s amazing hardware feel just the little bit more pedestrian and uninspired, and it made it a tough sell to stick with the phones for longer than the review period when our usual day-to-day phones feature a more Android-like UI. There’s an increasing number of Aussies out there buying Oppo’s phones though, and it makes us feel that our criticism of Color OS is perhaps a bit off-base for general consumers. 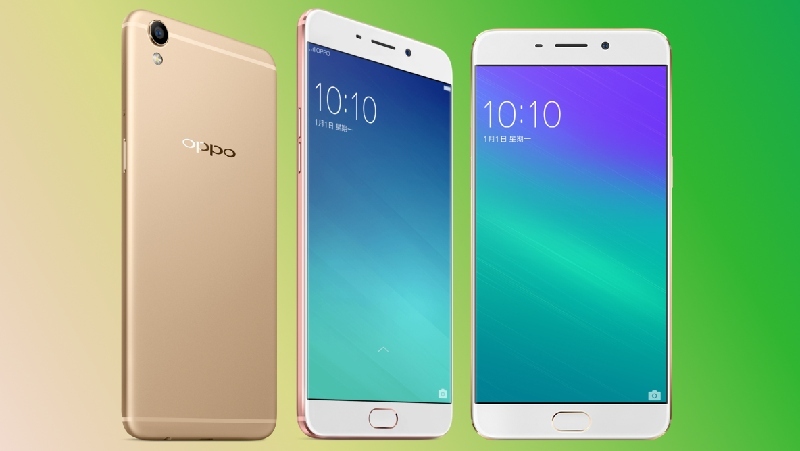 Oppo R9s & R9s Plus smartphone review: Can they challenge the incumbents? In a nutshell, the Oppo R9s and Oppo R9s Plus are reasonably decent phones - all the expected functionality for its price point, good design (albeit it looks very familiar) and has an acceptable set of cameras for normal photography and high resolution selfies. However in these days, a decent phone for a reasonable price may not be adequate and Oppo needs to be concerned about competition. The OPPO R9s has an excellent camera, offers impressive battery life, and features a nice display. However, the number of compromises here is staggering. Among derivative design and software, the R9s has sloppy software, offers below average performance, and has a bleak software support outlook. For Western users, the strange display coating, YouTube audio sync issue, and limited availability are even bigger issues to consider. 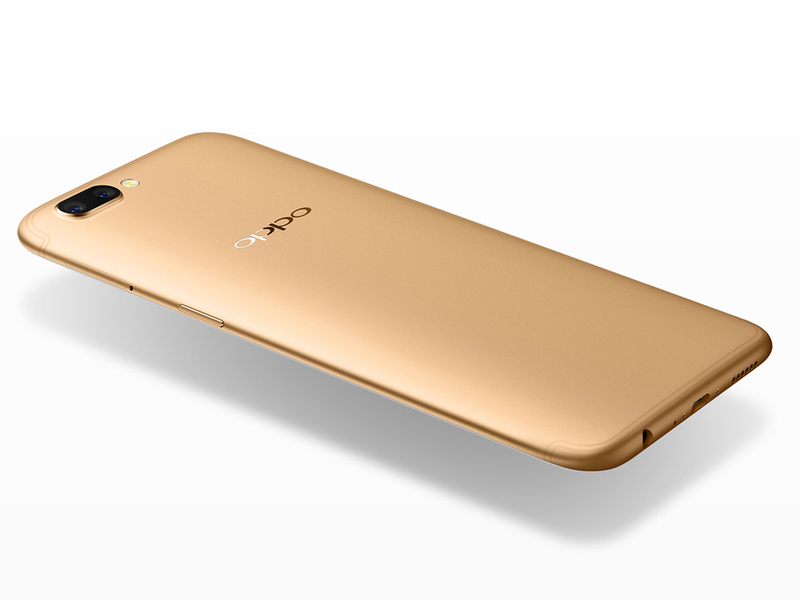 Selling for AUD$598 with 64GB of storage, the OPPO R9s is a great deal, but it’s slightly difficult to recommend over the significantly cheaper F1s if you don’t need the extra bells and whistles, such as the better camera or the horsepower. Vanilla Android would push this phone over the edge and make it an easily recommendable device over its competitors, but as it stands you’ll have to weigh up whether you can deal with the slightly odd operating system. If the operating system isn’t a problem, then you’re getting one of the best value-for-money phones on the market. 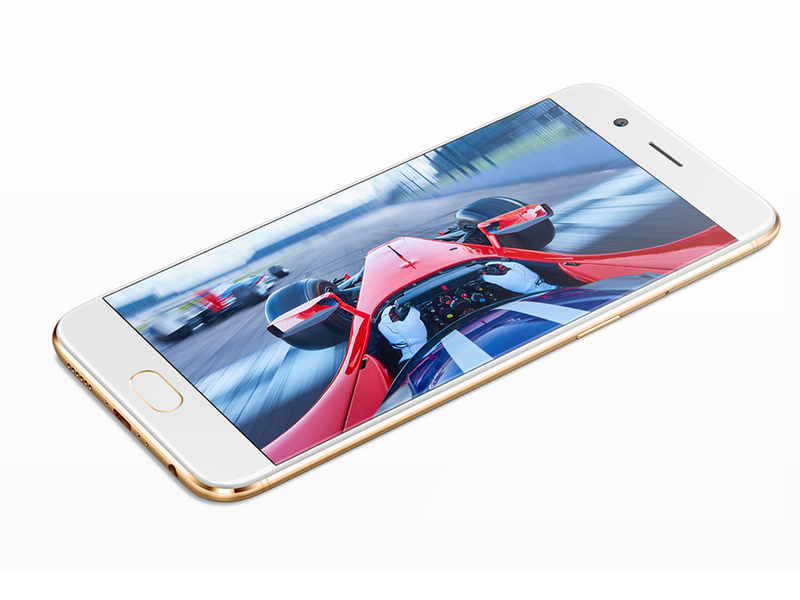 Oppo’s R9s story is all about the price. We don’t know for sure but if it lands in New Zealand at NZ$750 it’ll be competitive. For that money you get most of what you’ll find in premium phones selling for twice the price. So, great value for money and general performance ranging from very good to excellent. Oppo is on a winner with the R9s phone. Comparing it with the F1s, both phones share a lot of similarities and one might even opt for the F1s for being cheaper at RM1198, whereas the R9S stands at RM1798. That’s a RM600 difference and it’s easily understood why some customers won’t go for the R9S. However, the R9S is a lot better in terms of picture quality, and the performance is better with a Snapdragon 625 processor. Let’s not forget the awesome battery recharge technology as well. Despite these good points, we still wished OPPO could have been more creative in their design department for it. Seriously, guys. The Xiaomi Mi 5 is a worthy contender, although it doesn’t have the same expandable storage, and the excellent OnePlus 3 is a smidge more expensive, but packs a more powerful Snapdragon 820 chip. In any case, both examples do not have the will to last as long as the R9s. 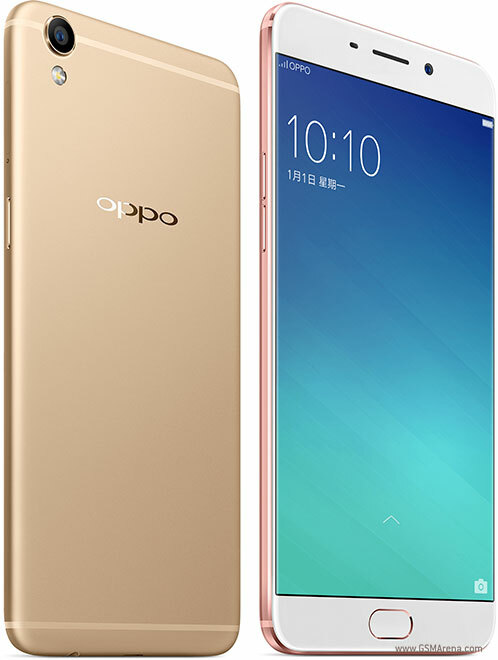 That said, Oppo's execution is the best, and this isn't just because of the six-string antenna design (though that's a big part of it). The R9s has the same screen size as the iPhone 7 Plus, but you wouldn't guess it - the Oppo is so much more compact and lighter. The fingerprint reader is faster than Apple's too. 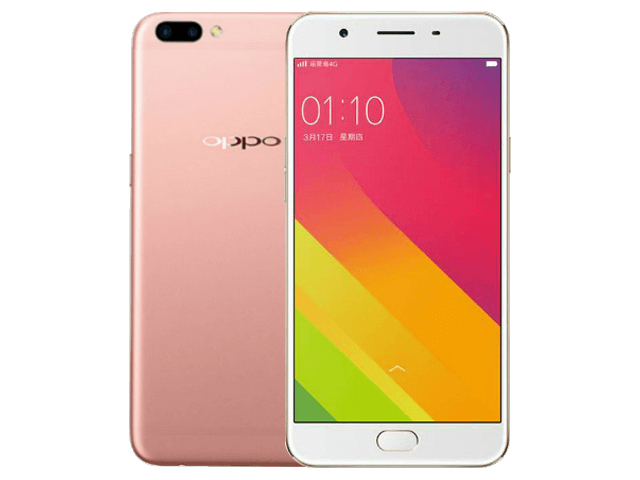 For the past one year, it is hard not to relate the word “selfie” with OPPO Malaysia’s smartphones given how the company has been working hard to establish its devices which include F1, F1 Plus, and F1s as the “Selfie Expert” devices. This year though, the company has somehow decided to focus on the power of rear camera with the arrival of R9s in our market. Positive: Metal case; slim size; long battery life; fast charge. True to its promise, OPPO today has unveiled two new smartphones called R9s and R9s Plus. As indicated by their names, these new devices are generally the successor to the R9 (released in Malaysia as F1 Plus) and R9 Plus smartphones which themselves were just launched around seven months ago. Positive: Excellent cameras; decent hardware; support fast charge; flexible fingerprint sensor. Positive: Metal case; fast fingerprint reader; quick charge; decent hardware; excellent cameras. Negative: Mediocre design. Positive: Solid workmanship; flexible fingerprint sensor; excellent cameras; support fast charge. Negative: Relatively high price. Positive: Excellent cameras; support fast charge; nice design. Positive: Beautiful design; metal case; good price. Positive: Impressive color; nice performance; good cameras; nice display; elegant design. This is Oppo’s best-ever phone and arguably the best-all round flagship on the market. Oppo has finally arrived at the big-boys table. Positive: High performance; good price; long battery life. Negative: Mediocre design. 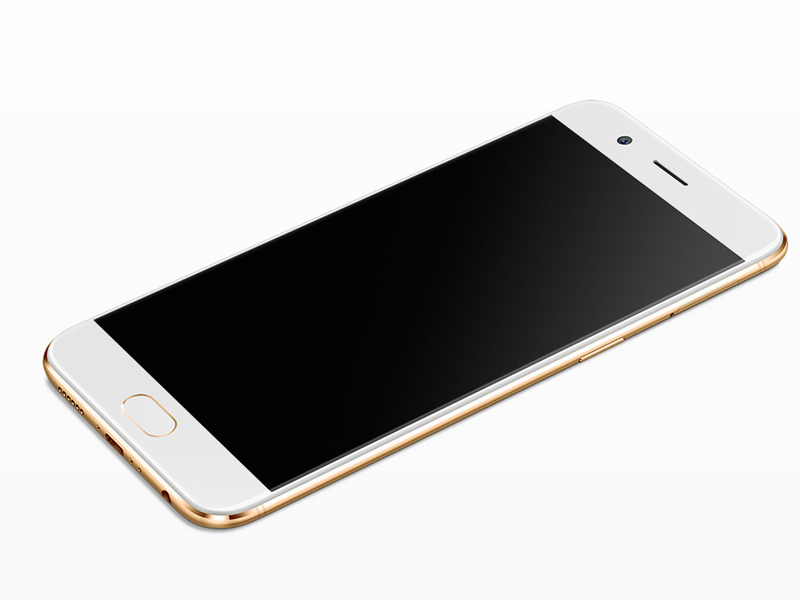 The Oppo R9s Plus is a fine phone, with the feel of a premium model, a massive screen of good quality, strong performance, at somewhat of a bargain price. Very impressive indeed. The Oppo R11s is a great midrange phone with a brilliant camera and fantastic battery life. The R11s beats any rival at the same price by a country mile. It gives you most of what you’d get from an expensive phone. Nothing important is missing. Yet it leaves you with a sizeable amount of money in your pocket. Oppo has been here before. Most non-iphone people reading this should put it on their shortlist. As a standalone device, the Oppo R11s is one of the best devices the company has produced so far, and one with plenty of great features. Ignoring the rainbow smudges, the screen is technically very good, and fast-charging is a real bonus. Even the software - despite a few annoyances - is fine. The only area that needs real improvement is image processing from the camera(s). One benefit Oppo has consistently provided is including a screen protector, already applied, and a simple rubbery case in the box. This would cost the company just a few dollars, but it gives the phone protection from drops and scratches out of the box. It makes sense for lesser known brands to ship with their own cases — the phone case booth inside your local mall may have never heard of Oppo — but it's such a great customer friendly feature, that I wish all phone makers would copy Oppo here. The R11s is a solid enough option as an iClone but - for the first time in several years - it feels like the gap between this and the real thing is getting wider rather than smaller. 70% Oppo R11s and R11s Plus review: An affordable iPhone X? The R11s and R11s Plus are really nice updates to the original R11, and the addition of a gorgeous extra tall AMOLED display adds a lot of value to these mid-range offerings. The all screen design, face recognition unlock, and ColorOS' similarities to iOS, all make the R11s feel like a much more affordable version of the iPhone X, and honestly, that's not a bad thing. So, the Oppo R11s - a great-looking handset that's in touch with the times but just not the great cameraphone it could have been. The new dual-camera setup was chosen with the best intentions, but something went wrong implementing it. Not sure whether it can be fixed via a firmware update and honestly they can leave it as is - the R11s will be a reasonably good cameraphone - it's just not great. While global availability and pricing is still to be determined, you can expect the OPPO R11s to cost around $475 and the R11s Plus to cost around $100 more. 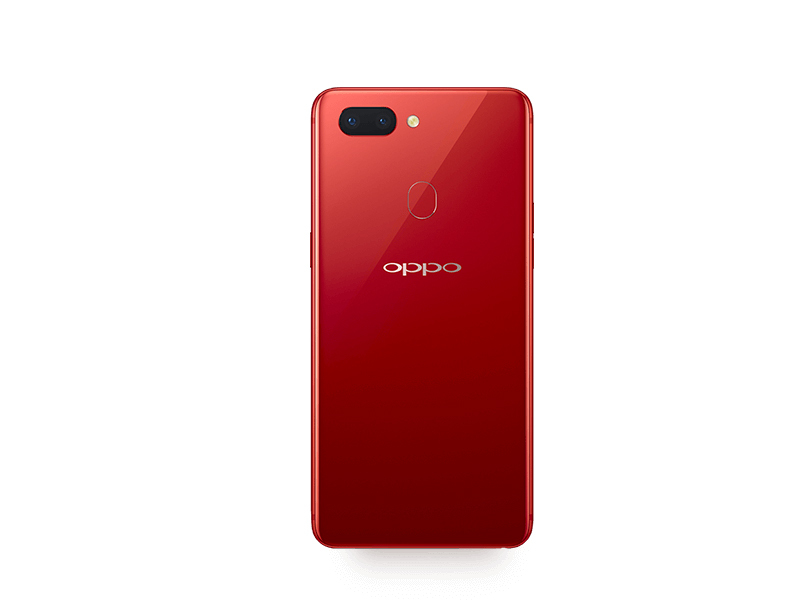 It might go without saying, but that’s a very competitive price for what you’re getting, especially considering the number of improvements that OPPO has made from the R11. The phone will hit China in November, followed by Taiwan and Singapore soon, with Australia to follow next year. The R11s will retail for 2,999 Chinese yuan, which converts to about $455, £345 and AU$590 respectively, while the larger R11s Plus will retail for 3,699 Chinese yuan, or $560, £425 and AU$730. Positive: Elegant design; nice display; decent cameras; good performance. The R11s Plus updates the R11s. The addition of a gorgeous, extra tall, 6.43-inch 18:9 AMOLED display adds a lot of value to this mid-range offering. So the R15 has external rather than internal competition to worry about and early signs are encouraging that it has what it takes to handle that. Let's hope the impressions stands after we complete the review. Positive: Stylish design; solid workmanship; nice display; good price. Positive: Elegant design; great built quality; nice display; high autonomy. Negative: No USB-C port. Positive: Good price; impressive design; great built quality; nice display. Positive: Good hardware; quick charging; beautiful design; smart AI mode. Positive: Impressive design; metal case; nice dual cameras; decent hardware. If you decide you’re not bothered about updates though, then the R15 Pro is a well built and delivered phone. While we’ve taken issue with Color OS in the past, and continue to find some quirks with the way it implements some things, on this device it seems to deliver most of what we expect in an Android phone – its something you could learn to live with if you’re coming from a more standard Android platform. There’s great specs and a decent mid-range camera on offer, making it a typical – but pricey – Oppo smartphone. With premium performance, design, and camera chops,Oppo's notched wonder is only let down by poor battery life and some dated features. The R15 Pro gets the job done without breaking the bank. If you want more phone and a fancier camera expect to pay more. If NZ$800 is your budget limit, this is a good choice, but take a closer look at the NZ$700 Nokia 7 Plus first. That would be my choice. The R15 Pro is the successor to the R11 and R11s. Ruby Red option is one of the best-looking phones you’ll see in 2018. The R15 Pro sees Oppo bring more of that flagship experience to the sub-$800 smartphone space than ever before to generous effect. The Oppo R15 Pro is a terrific midrage phone, but it lacks the OnePlus 6's processing power, more interesting operating system and battery life. The Oppo R15 Pro is a good attempt at making a budget flagship, but the company needs to fix the buggy software and make it cheaper before it can compete with the likes of OnePlus. The Oppo R15 Pro is just one Snapdragon short of being the OnePlus 6. Probably. Maybe. Who knows? But the R15 Pro is available today in all colors, on every official market. No invites, queues, out of stock messages, and whatnot. You can go inside any Oppo store and buy it. Actually, that shouldn’t be a surprise anymore. Chinese manufacturers have long shed the image of being cheap but underwhelming knockoffs. Now they’re gaining a reputation for being cheap but also powerful. And while the OPPO R15 Pro may be faulted for riding the rabbit screen train, it definitely has enough going for it to prove that it’s more than just a pretty face. We’ll have the opportunity to spend much more time with the Oppo R15 and Oppo R15 Pro in the coming weeks. Until then make sure you watch the video above to get a good sense of what the phone looks like and stay tuned to Android Authority for more gradient-colored notch device news and reviews. Positive: Good price; support 4G LTE; nice display; decent performance. Positive: Nice cameras; long battery life; good price. Positive: Good price; beautiful design; great built quality; good hardware; nice performance. Positive: Good price; elegant design; nice cameras; fast charging. Negative: No USB-C. Positive: Elegant design; solid workmanship. Negative: Relatively high price. Positive: Elegant design; nice display; good hardware. Negative: Relatively high price. Positive: Solid workmanship; nice display; elegant design. Negative: Relatively high price. Positive: Nice display; decent cameras; long battery life; high performance; solid workmanship. Negative: Relatively high price; only microUSB. The R17 and R17 Pro will be available in Australia from November 12 for $699 and $899 respectively, or on contract through Vodafone from the November 14. The price point puts it directly in competition with other ‘premium’ mid-range smartphones such as the 6T from fellow Chinese smartphone rival OnePlus. If it’s not enough to have some of the best cameras in OPPO’s R-series, it has added SuperVOOC charging – 10 minutes for 40% to the R17 and R17 Pro. First announced and available for pre-order in China 10 days ago, the R17 is available in two color schemes, loosely translated as “streaming blue” and “neon purple”. Essentially, the glass back is treated in a way to produce a two-tone effect and have the color shimmers depending on how the light lands on it. “Like the beautiful flow of water and light” is how Oppo describes the effect. At a press event in Shanghai, China today (Aug 23), Oppo officially presented the new R17, a 6.4-inch phone with an interestingly shaped notch, in-display fingerprint sensor, and AI-enhanced cameras. I've only spent a short time with it so far, but it seems to lack that something special to help it stand out in a sea of similar Chinese Android phones. Dual rear cameras, beautiful design, a full-screen experience with a tiny notch -- these make it a killer midrange phone, but we've seen plenty of similar phones this year. The Oppo R17 Pro is a complete package with strengths across areas. The phone is primarily a camera-centric device, where it delivers consistently irrespective of lighting conditions. The SuperVOOC charging technology and in-display fingerprint sensor add to the overall utility of the smartphone to make it an all-rounder in its segment. However, at its price, the phone seems to be on an expensive side. The Oppo R17 Pro features a good camera and an in-screen fingerprint sensor but OPPO's decision to not use a flagship processor makes it hard to pay a flagship-level price for it. 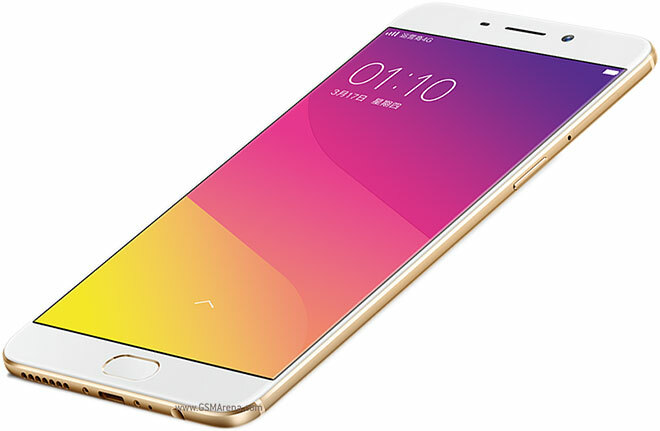 Oppo’s latest is undoubtedly it’s greatest phone so far. It’s drop dead gorgeous – especially in its Radiant Mist form – and it’s packed full of features. The RRP for the phone is also one of the company’s highest ever at $899, but coming in after the Find X and recent waves of premium $1500+ super phones, that’s almost a breath of fresh air. Look, someone’s still doing phones for under $1,000! OPPO R17 Pro Review – What’s so special? We were pleasantly surprised with the camera performance of the OPPO R17 Pro! Unlike most companies which tries to improve image quality by manipulating their photos produced by the camera, OPPO decided to minimally start with a solid and good performing camera hardware. This allowed the R17 Pro to capture unadulterated photos very well. Together with some of the new software on its camera, the OPPO R17 Pro places itself on the top as one of the best camera smartphones out in the market. 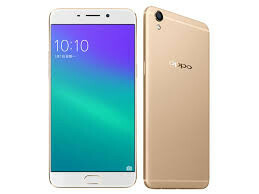 Oppo is a diverse smartphone brand with product offerings that cover almost all major price points, starting from budget focused devices and going up to flagships. Talking of flagships, their recent R series release comes named as R17 Pro — also known as RX17 Pro in some regions — which we have with us and will be discussing about in detail within this review. The R naming lineup is renewed at least once each year and carries the best Oppo has to offer. Sporting interesting hardware such as a rear triple camera system and an in-display fingerprint scanner, R17 Pro is what Oppo has brought to the table in 2018. 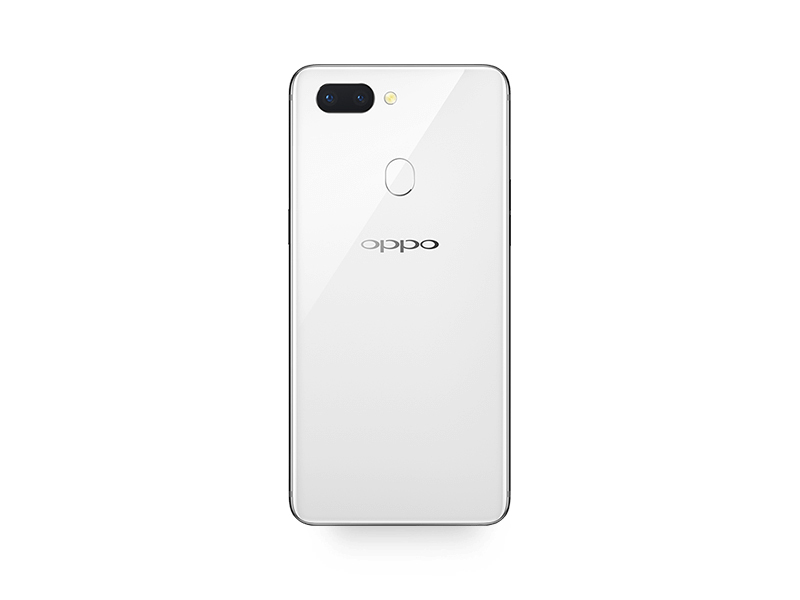 Oppo’s R Series represents the brand’s top-level flagship lineup and this year’s R17 Pro iteration packs some amazing hardware such as the triple lens camera system on the back. In 2018, it has become pretty much essential for a flagship device to carry high-end optics as the industry is highly competitive and there are multiple good phones with amazing cameras at various price points. In this detailed review our focus will be on Oppo R17 Pro’s camera and the features it offers. The Oppo R17 is more expensive than the OnePlus 6T that ships with a Snapdragon 845 chipset. It is far more expensive than the Nokia 8.1 which gets a similar Snapdragon 710 chipset and offers a better Android experience. The R17 Pro should have been priced under Rs 35,000 to stand a chance against some excellent competition. This has been a terrific year for smartphones, and value for money phones at that. The R17 Pro for all its beauty and power may not be the phone for everyone. This is the first time the R-series has come to India, but the company will still see more takers for its affordable phones. If you are the absent-minded type and see the need for SuperVOOC Flash charging, then by all means, go for the R17 Pro. But if you are more value-conscious, then the OnePlus 6T should check all your boxes. Except for the poor software implementation, Oppo R17 Pro is an impressive phone. It looks good and delivers solid camera quality. Overall performance is also satisfactory. At Rs 45,990, the phone however feels slightly overpriced considering OnePlus (OnePlus 6T MclLaren Edition) is offering a much better processor (Snapdragon 845) and RAM combination at the same price. Oppo R17 Pro Review – Oppo R17 Pro is an excellent device with so many great features like RAM & ROM combo, perfect camera lenses. Its best feature is Super VOOC charging which quickly charges the phone fully in less than 20 minutes, it is the best feature. Its price is very high because of all these new features but people will still think to spend this much amount of money on an Oppo device. 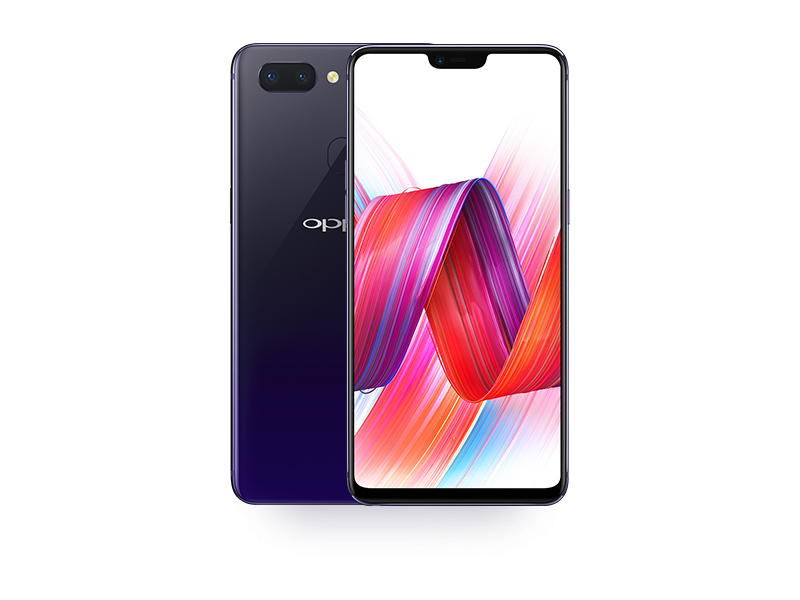 The OPPO R17 Pro is categorised as an upper mid-range smartphone with a price of RM2699. While the price is a little high, it is argueably worth it considering that it features a Super AMOLED display, a triple rear camera setup as well as a 50W SuperCharging Technology. Most importantly, this smartphone is powered by the Qualcomm Snapdragon 710, one of the few phones to have this in Malaysia. The price for the OPPO R17 Pro starts at Rs 45,990 for its 8 GB RAM and 128 GB storage variant. 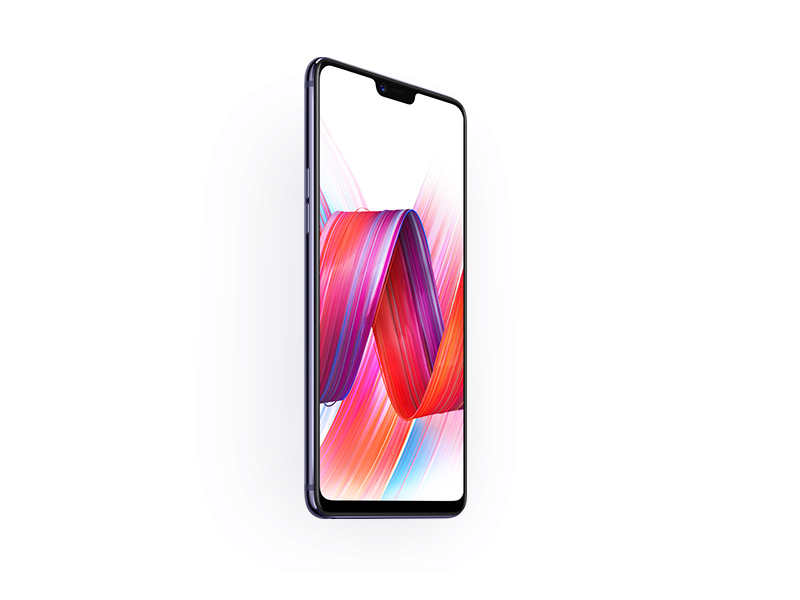 At this price, the OnePlus 6T is available in 256 GB storage variant and the Vivo NEX with notch-less design and Snapdragon 845. So at this point, Oppo seems to be charging Rs 45,990 only f ..
Oppo R17 Pro has a lot of points going in its favour like excellent set of cameras, great display and design as well as top-notch performance. I think Oppo R17 Pro can give solid competition to OnePlus 6T going by the overall performance. However, there is no lower-priced storage model that you can go consider, which does leave out potential users. Samsung Galaxy A9 is another option to look at that comes with four rear cameras and is slightly cheaper. It’s not perfect though, as the TOF camera is not yet ready, and most importantly, it’s pricey. At PHP 38,990, it’s almost in the same league as other smartphones with flagship chipsets. 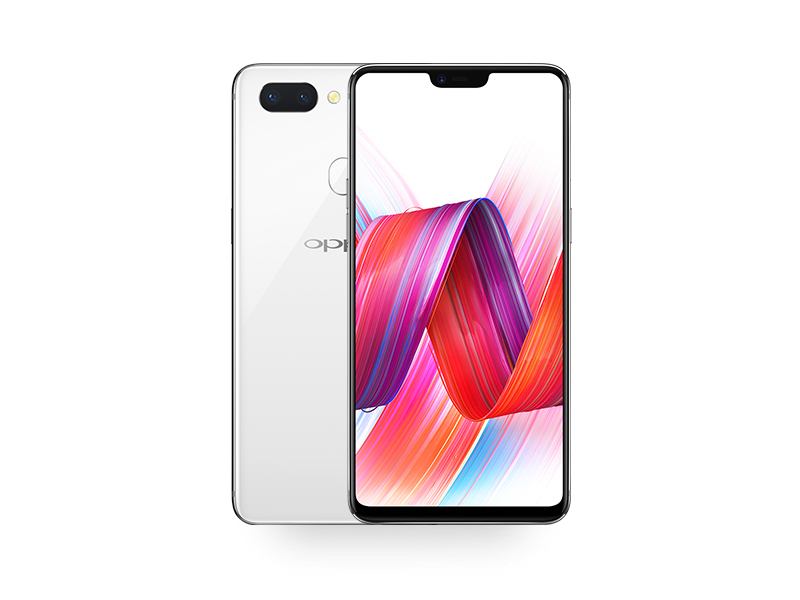 It’s a challenging sell, but if you’re looking for something from OPPO but don’t want to splurge on the Find X, then you’ve come to the right place. We’re entering a period of change in the smartphone market. The boundaries between premium and midrange phones are blurring and features once reserved for more expensive products have become available even on cheaper ones. Previously “mid-range” phones are also getting more premium prices. No where is that delightful confusion more applicable than with the OPPO R17 Pro, the latest from the acclaimed Chinese smartphone maker. It definitely looks premium and sounds premium but is just a few steps shy of being the perfect smartphone you can get on a tight budget. Since the R17 Pro is the first Snapdragon 710 device for Malaysia, we expect the phone to exceed our expectations but we are still in the midst of reviewing. More mid-range devices will be adopting the Snapdragon 710 chipset soon in the near future, especially in 2019 as Qualcomm is already distributing it to the South East Asia region. Stay tuned for more tech articles at TechNave.com. At Php 38,990, the R17 Pro has a steep price and places itself at an awkward position. Huawei’s triple rear camera-sporting flagships Mate 20 and P20 Pro are priced at Php 40,990, while the Snapdragon 845-sporting OnePlus 6T will cost you Php 33,990 for the 8GB/128GB version. An improved camera, slick software, Super VOOC charging and in-screen fingerprint sensor make the R17 Pro a stellar buy. This smartphone can definitely seize the night with its AI cameras and the dual batteries can last for two whole days with just about 35 minutes of fast charging. We can say that this OPPO handset is made for youngsters who has a big heart for photography and traveling. But if you’re into smartphones that can handle heavy gaming, this is not what you’re looking for. The Oppo R17 Pro continues Oppo's innovative efforts with an in-screen fingerprint sensor, triple cameras, and two batteries for faster charging. If you can get your hands on one, it's a fantastic device that's packaged in a beautiful and well-crafted design. While there is no Philippine pricing for OPPO R17 Pro yet, it costs CNY 4,299 in China, which is roughly Php 34,000. We will find for sure out during the local launch on November 7. 72% Đánh giá chi tiết OPPO R17 Pro: Chiếc smartphone không dành cho số đông? OPPO R17 Pro: Siêu phẩm giá hợp lý, rất nhiều công nghệ hấp dẫn! Positive: Good price; attractive design; long battery life; quick charging. Positive: Impressive triple cameras; quick charging; nice design; great display; high performance. 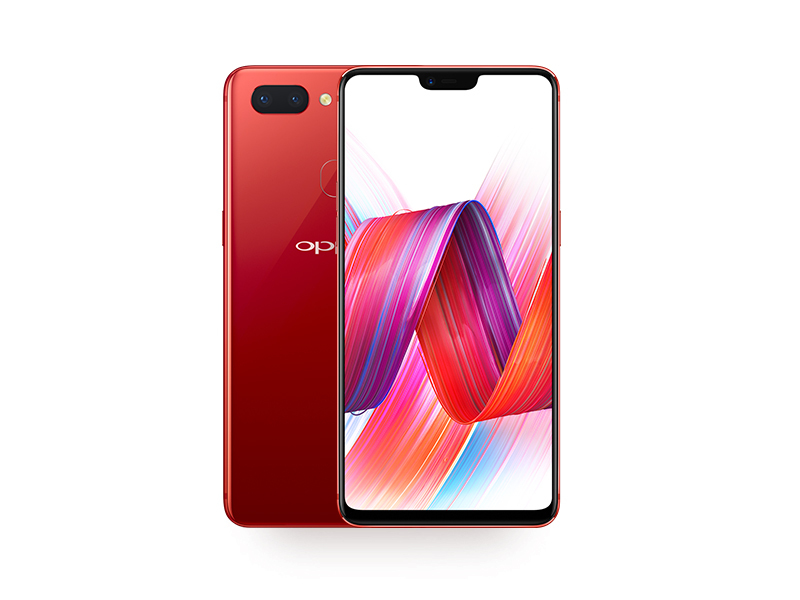 Đánh giá OPPO R17 Pro: Đẹp từ ngoài vào trong! Positive: Beautiful design; big screen; nice display; metal case; great cameras; decent hardware; high performance. Negative: No wireless charging. Positive: High gaming performance; beautiful design; solid workmanship; fast charging. Positive: Quick charging; beautiful design; nice display; good cameras; long battery life. Negative: High price. Positive: Beautiful design; high performance; decent hardware; nice cameras. Positive: Excellent display; big screen; stylish design; nice cameras; quick charging. Negative: Weak processor. Positive: Impressive design; nice triple cameras; high performance; flexible fingerprint sensor; long battery life; quick charging; good price. 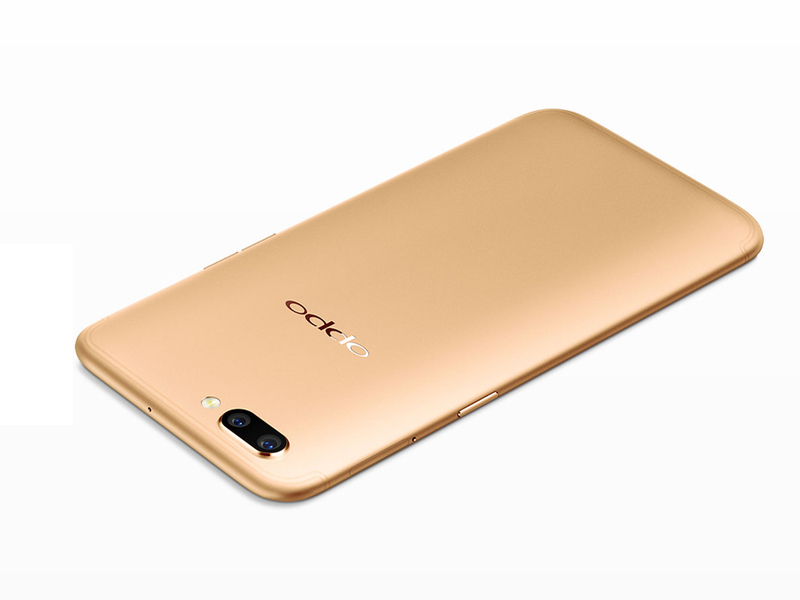 Đây là 5 lý do bạn nên lựa chọn “siêu phẩm” OPPO R17 Pro! Positive: Stylish design; nice cameras; powerful hardware; high performance; long battery life; quick charging; flexible fingerprint sensor. Trên tay và đánh giá nhanh OPPO R17 Pro tại Việt Nam: Ấn tượng 3 camera! Positive: Impressive triple cameras; long battery life; fast charging. Positive: Impressive triple cameras; large screen; nice design; good hardware; fast charging. Qualcomm Adreno 506: Integrated graphics card in the Snapdragon 625 SoC and based on the new 500-series architecture with support for Vulkan, OpenGL ES 3.1 + AE (3.2) and UBWC.Qualcomm Adreno 510: Integrated graphics card based on the Adreno 500 architecture, like the Adreno 520 in the Snapdragon 820. Performance should be on average similar to the old Adreno 330 in the Snapdragon 801. Supports DirectX12, OpenCL 2.0, OpenGL ES 3.1 + AE.Qualcomm Adreno 512: Integrated graphics card based on the Adreno 500 architecture, like the Adreno 520 in the Snapdragon 820. According to Qualcomm up to 30% faster than the previous generation (Adreno 510?). Supports DirectX12, OpenCL 2.0, OpenGL ES 3.1 + AE.Qualcomm Adreno 616: Integrated (in the Snapdragon 710) graphics card based on the Adreno 600 architecture. According to Qualcomm up to 30% faster than the previous generation (Adreno 512 in the Snapdragon 660). Supports DirectX11_1, Vulkan 1.0, OpenCL 2.0, OpenGL ES 3.2.These graphics cards are not suited for Windows 3D games. Office and Internet surfing however is possible. unknown: Non demanding games should be playable with these graphics cards. ARM Mali-G72 MP3: Integrated graphics card from ARM with 3 cores based on the 2nd generation of the Bifrost architecture.» Further information can be found in our Comparison of Mobile Graphics Cards and the corresponding Benchmark List. Helio P60: ARM based octa-core SoC with 4x big ARM Cortex-A73 cores and 4x small and power efficient ARM Cortex-A53 cores. All clocked up to 2 GHz. Integrates a Cat-7 (DL) / Cat-13 (UL) LTE Modem (4G), ARM Mali-G72 MP3 GPU and a dedicated AI processing unit. 77.54%: This rating is not convincing. The laptop is evaluated below average, this is not really a recommendation for purchase.» Further information can be found in our Notebook Purchase Guide.